"I have an idea, Mama! 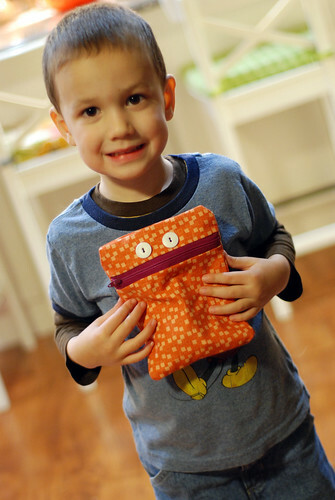 Let's SEW something!" Oh, I like that idea very much. 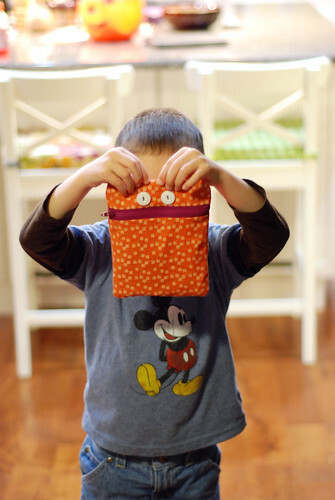 We decided to make a zippered pouch that Walter could use to store his "collection." Collection of what? I don't know. But there's a pteranodon on Dinosaur Train that has a collection, so, Walter needs to have one too. 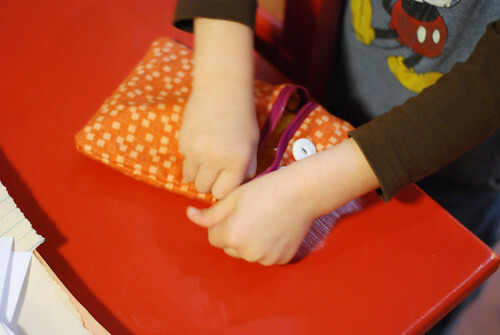 He dug through my scrap basket and picked out which fabrics to use and chose a zipper. Halfway through sewing he got distracted by my button jar and gave up his position at the sewing machine to choose buttons. 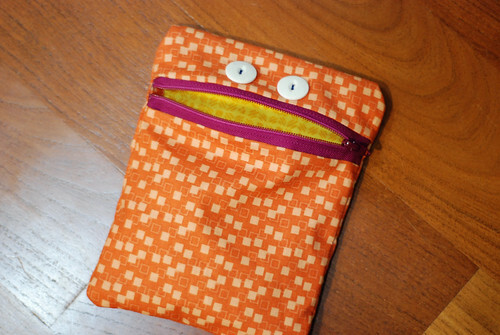 Those buttons became eyes and the zipper pouch became a monster zipper pouch. And it was put to immediate use, holding his collection – a pencil and Lightning McQueen. Pretty cute! Excuse me, Handsome! pretty soon he'll be welding animals. so fun. i can't wait for my boys to ask me to make them something. I love what walter designed!